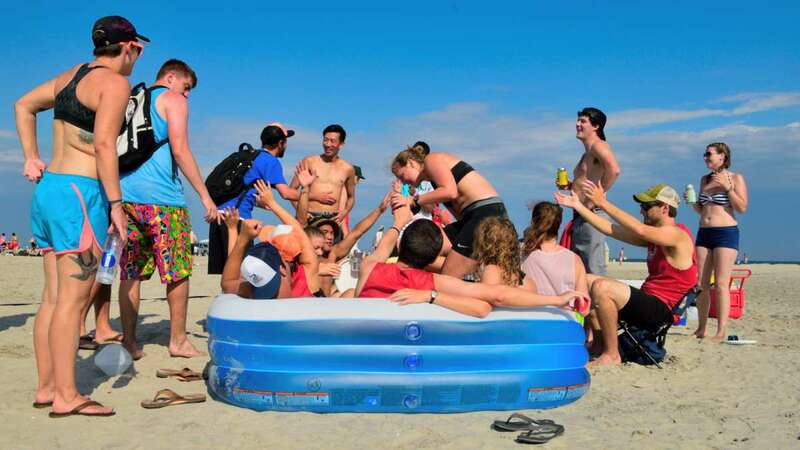 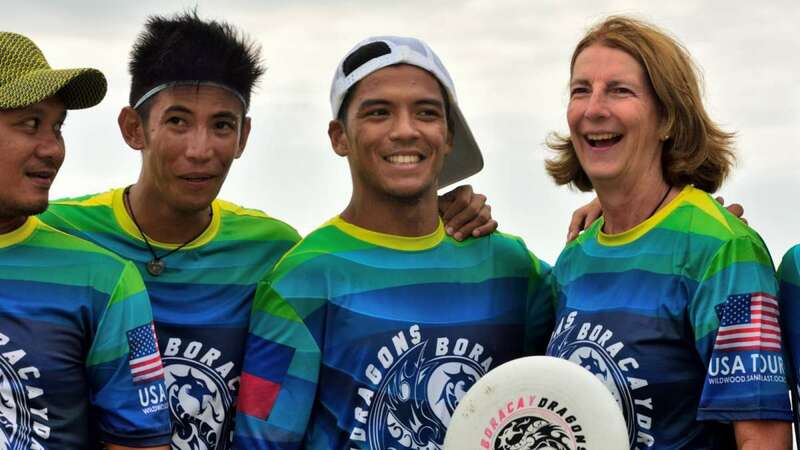 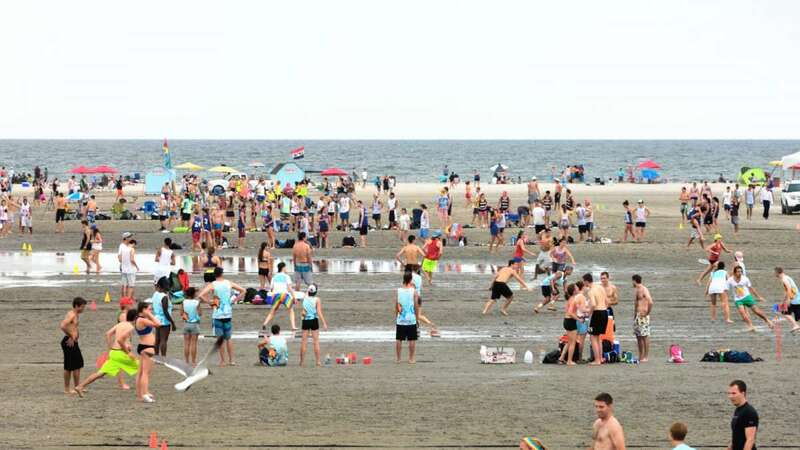 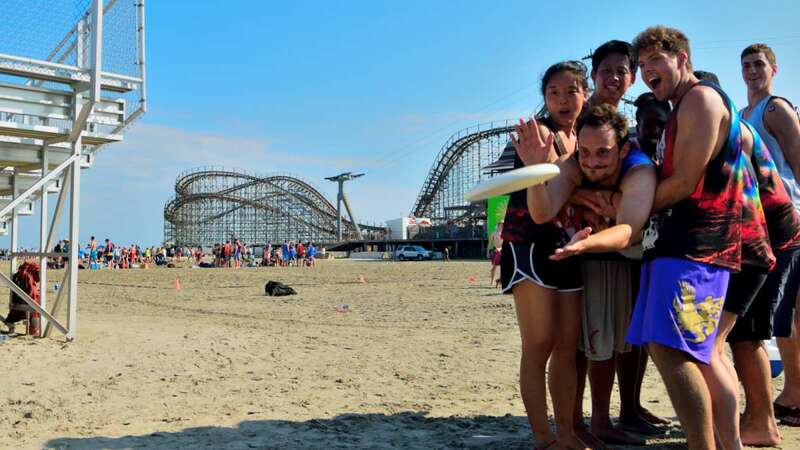 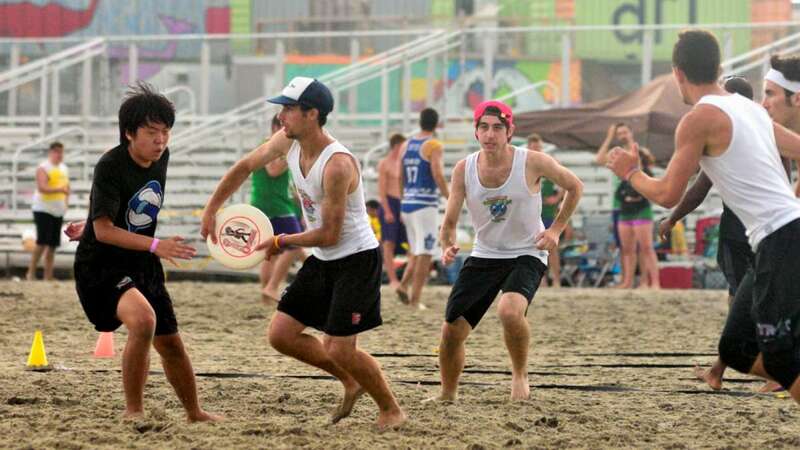 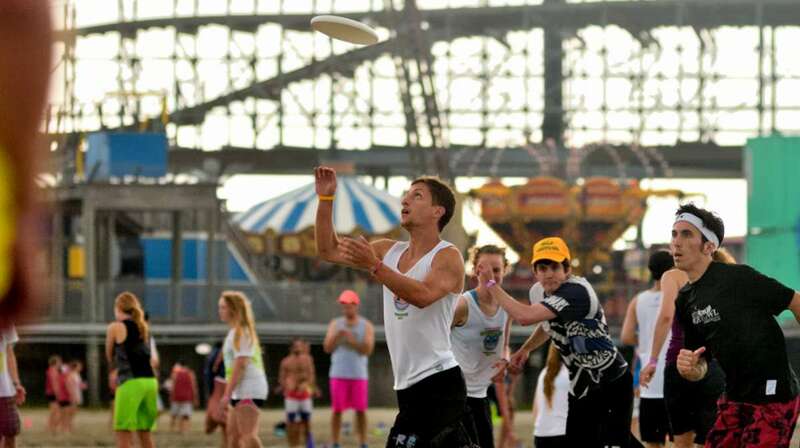 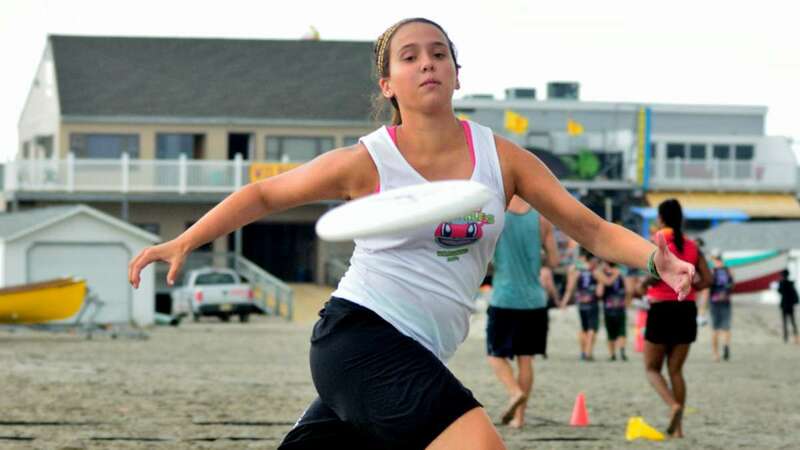 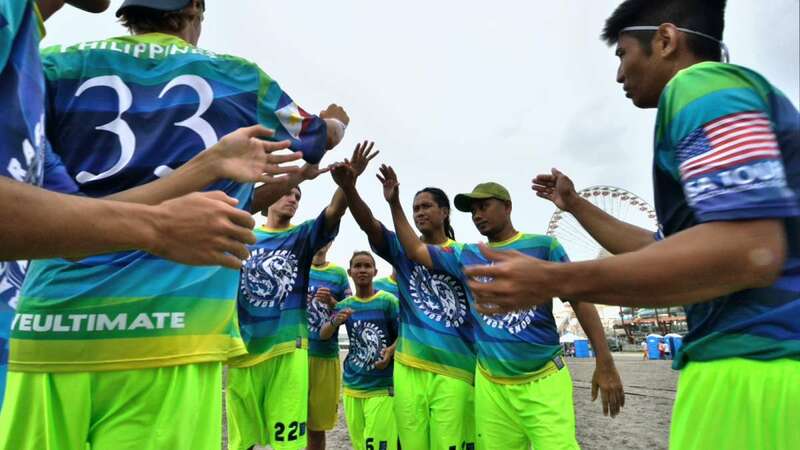 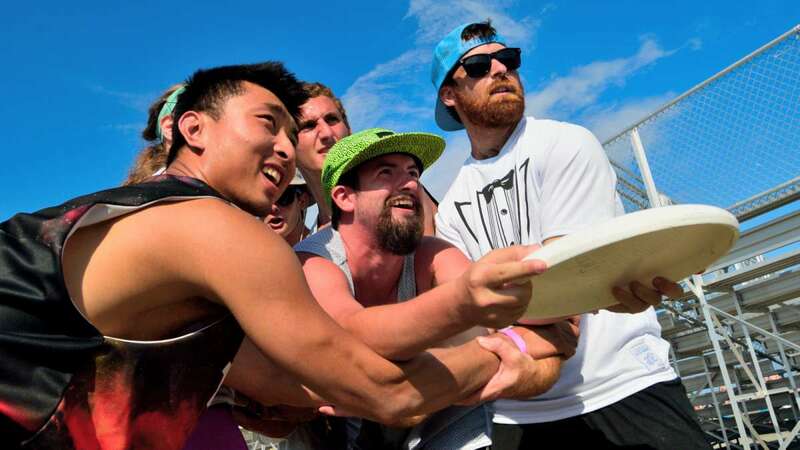 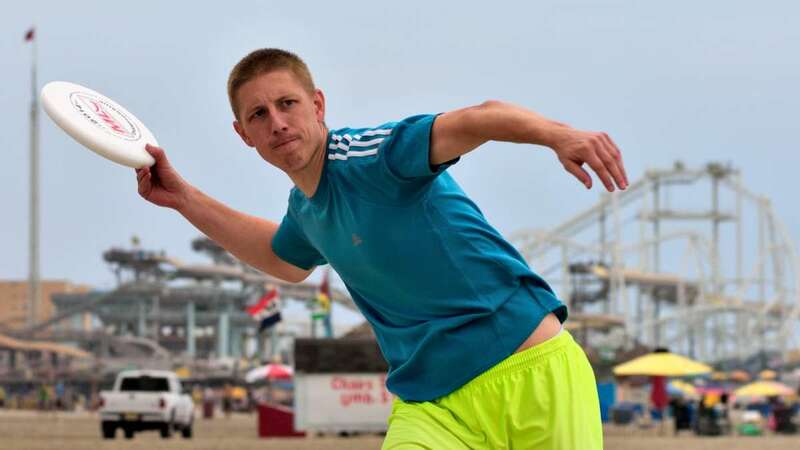 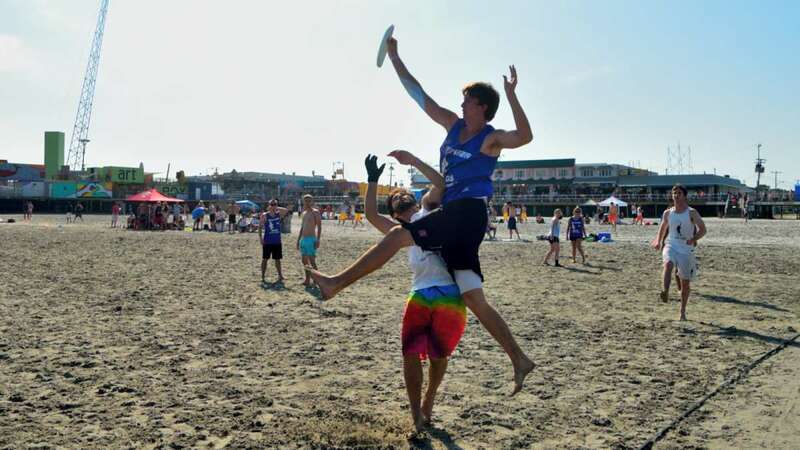 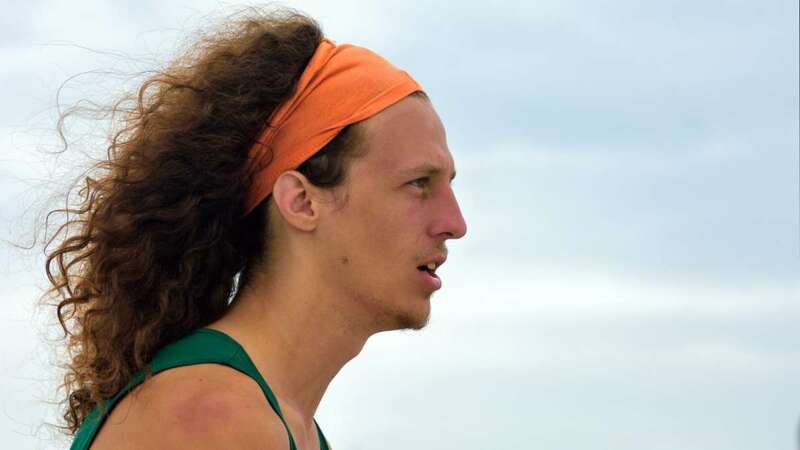 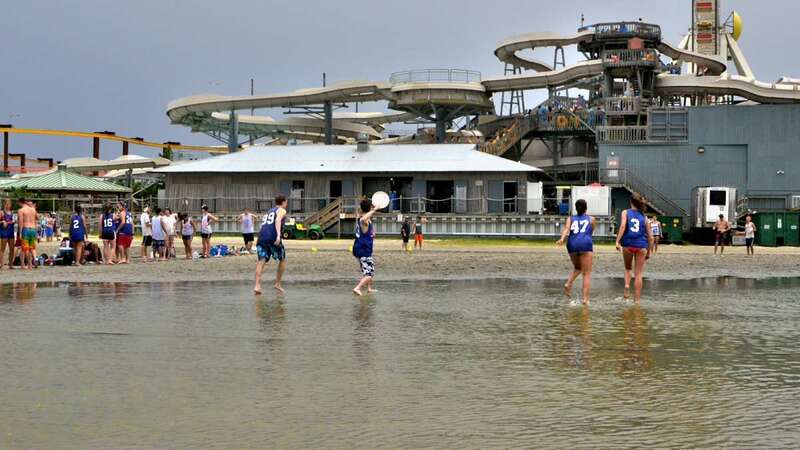 Teams from all over the country, and one from the Philippines, came out to compete in the annual Beach Ultimate Frisbee tournament in Wildwood, New Jersey. 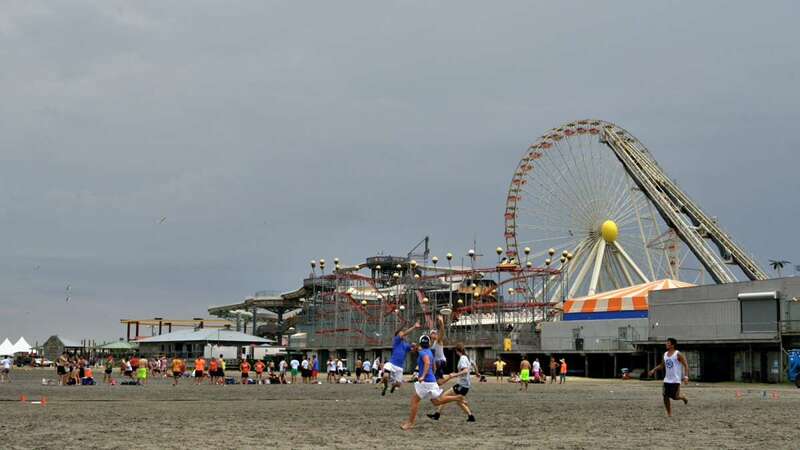 Spread out over more than a hundred playing fields on Wildwood’s expansive beach, coed teams competed in the “open” and “beer” divisions. 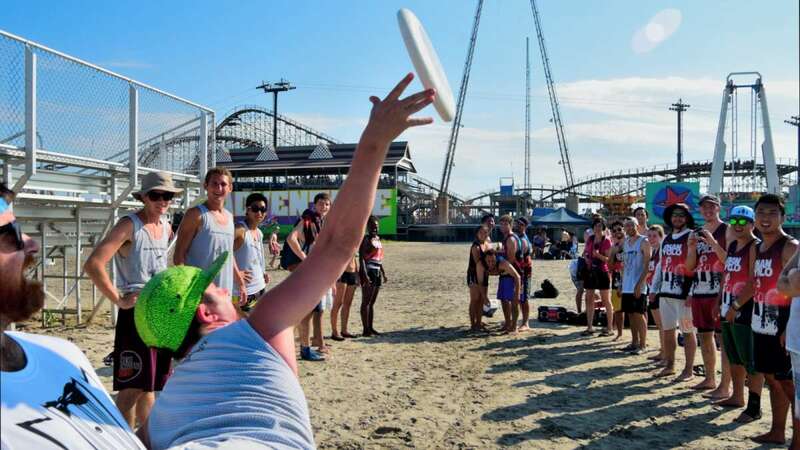 The open is the most competitive division. 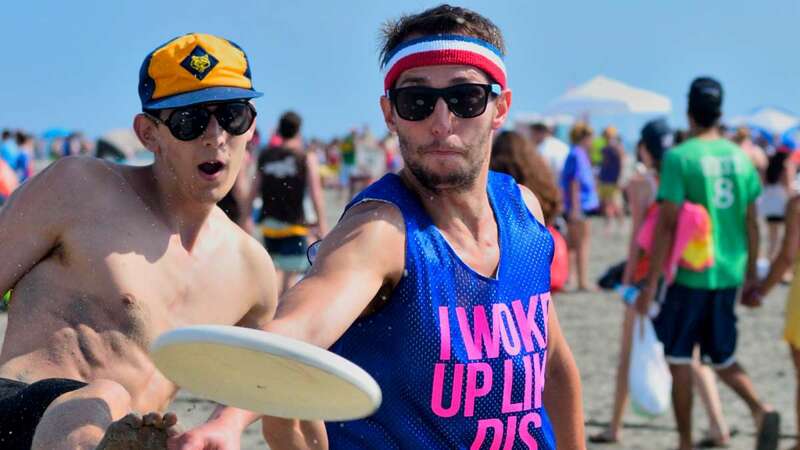 The beer division, still competitive, but less hard-core, accommodated most of the more than 400 teams. 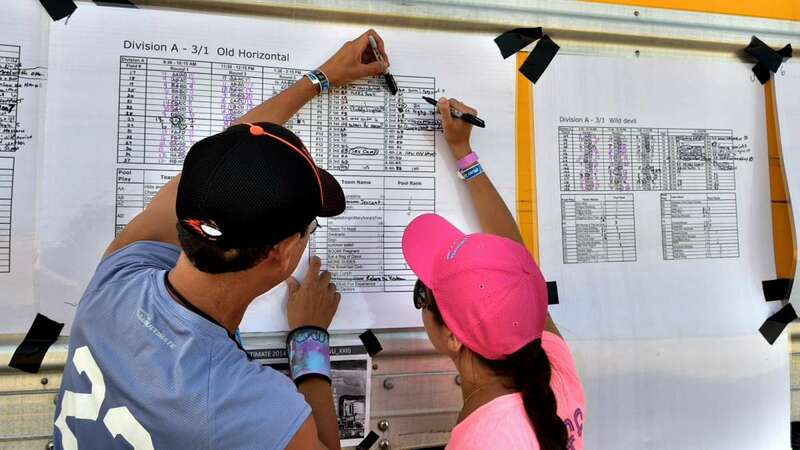 Team names in the beer division reflected the competitors’ lighter sides. 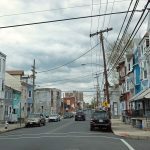 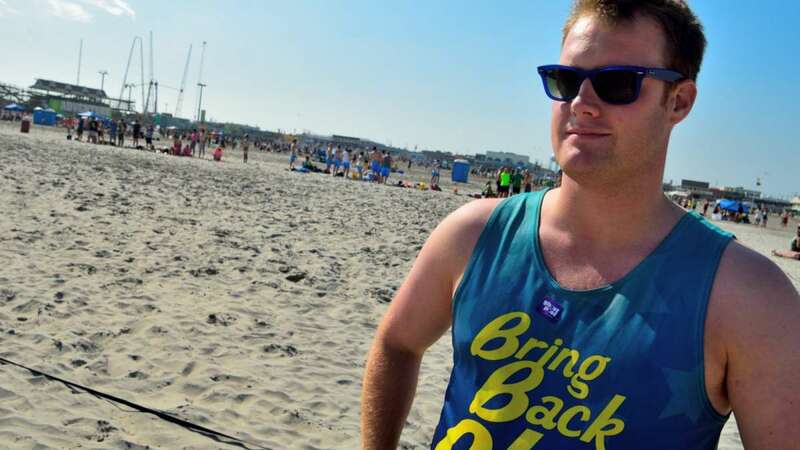 Members of “Bring Pluto Back” are campaigning to restore Pluto’s status as a planet, according to team member Ryan Delaney of Long Island, New York. 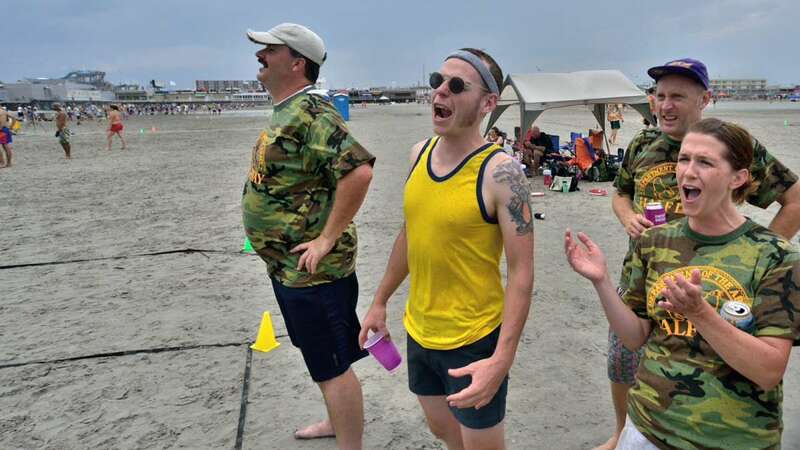 Between the scheduled games of the tournament, there was plenty of time to relax and enjoy the scenery and, in many cases, a drink. 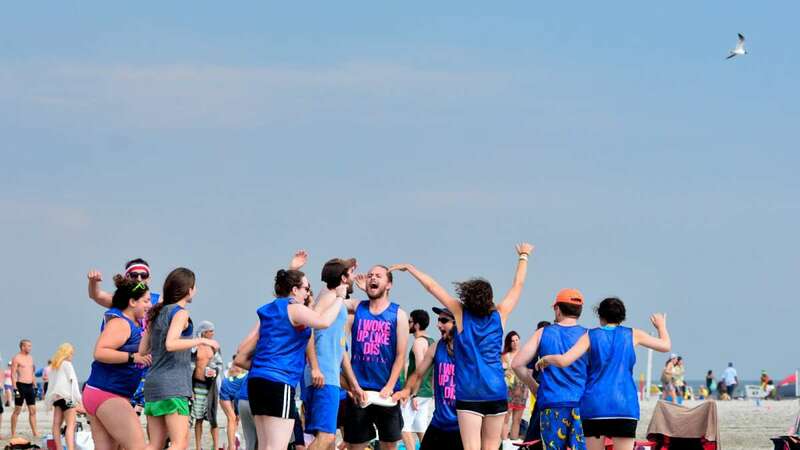 Many spent this time socializing with members of other teams, and a great way to do that was to participate in one of the numerous “sideline” games. 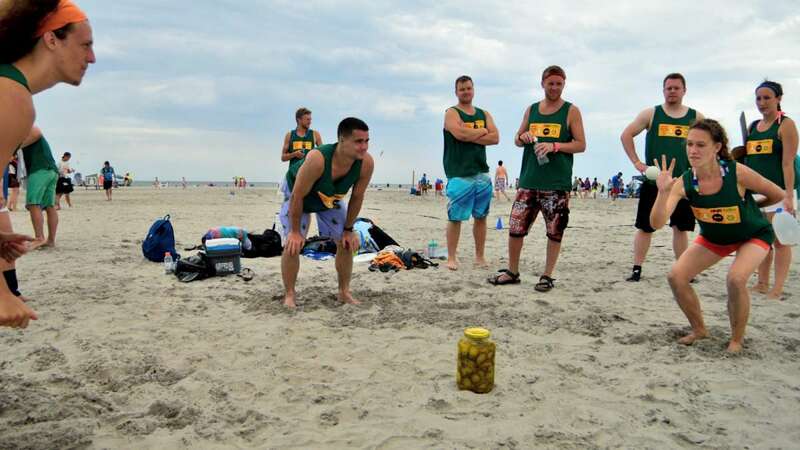 “Pickle pickle” and “battleship” were two of the sideline games. 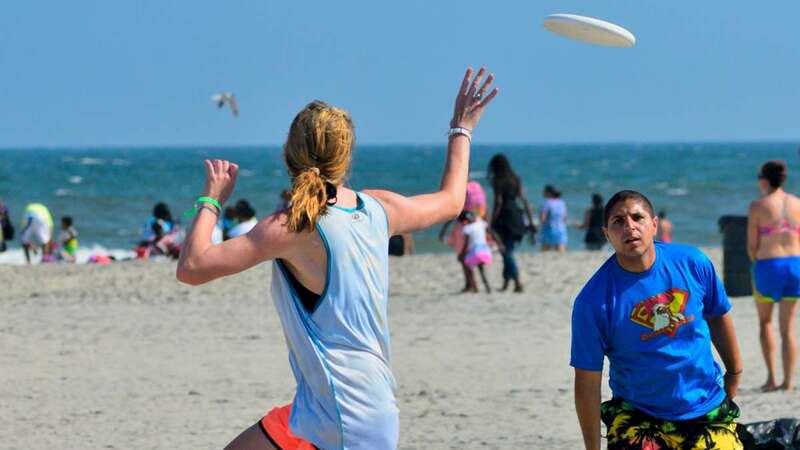 These variations of throw-and-catch have their own unique and inventive rules.